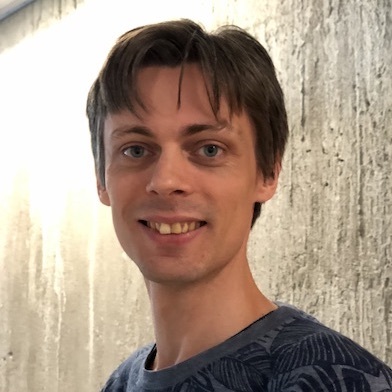 I am a postdoctoral researcher and software engineer at the Digital Security department of the Radboud University, interested in privacy enhancing technologies, cryptography, and in particular secure and privacy-friendly identity management. Before that my research involved the mathematical side of gauge theories and partial differential equations. The IRMA project is working on creating a privacy-friendly, secure and easy-to-use authentication mechanism, using the Idemix attribute-based credential scheme as underlying credential scheme. As the lead programmer of IRMA I develop and maintain the core software: the IRMA server that can verify and issue attributes, an IRMA client, and partially the IRMA iOS/Android app. With an attribute-based credential scheme, you can selectively show some of your properties, while keeping others to yourself (more detailed explanation here). Idemix is an example of such a scheme; it is used in the IRMA project. Jaap-Henk Hoepman, Eric Verheul and myself have created a new, smart-card suitable attribute-based credential scheme. PEP enables privacy friendly exchange of privacy sensitive medical data for specific medical research purposes, by combining advanced encryption with distributed pseudonymisation, and distribution of trusted data with fine-grained access management. The PEP project builds on the Polymorphic Encryption and Pseudonymisation technique developed by Bart Jacobs and Eric Verheul (see the whitepaper or the PEP website for more Information). Currently I am working on connecting PEP as a data transport mechanism to Radboud’s Digital Research Environment (DRE), an online research environment for medical researchers. Although digital signatures already are a very versatile cryptographic primitive as is, in some situations it is desirable that (part of) the message and the resulting signature is hidden from the issuer – for example, when the issuer is not fully trusted, or when the user’s privacy is at stake. In such situations one can use (partially) blind signature schemes. Wouter Lueks, Jaap-Henk Hoepman and myself have developed a partially blind issuing protocol for Boneh-Boyen signatures; see here. As an example of our scheme we included a (single-show) attribute-based credential scheme, offering similar efficiency but stronger security guarantees than its most well-known competitor (U-Prove). My PhD thesis Quantization using Jet Space Geometry and Identity Management using Credential Schemes, which I defended on 7 October 2016 at the University of Groningen, may be found here. I have many hardcopies left; if you would like one, feel free to contact me. A. V. Kiselev and S. Ringers. A comparison of definitions for the Schouten bracket on jet spaces. In Proceedings of Sixth International Workshop “Group Analysis of Differential Equations and Integrable Systems”, Larnaca, Cyprus, 2012. arXiv: 1208.6196. S. Ringers, Topologically Twisted Yang-Mills Theory on K3 Surfaces. MSc thesis, supervised by prof. R. Dijkgraaf. PDF.